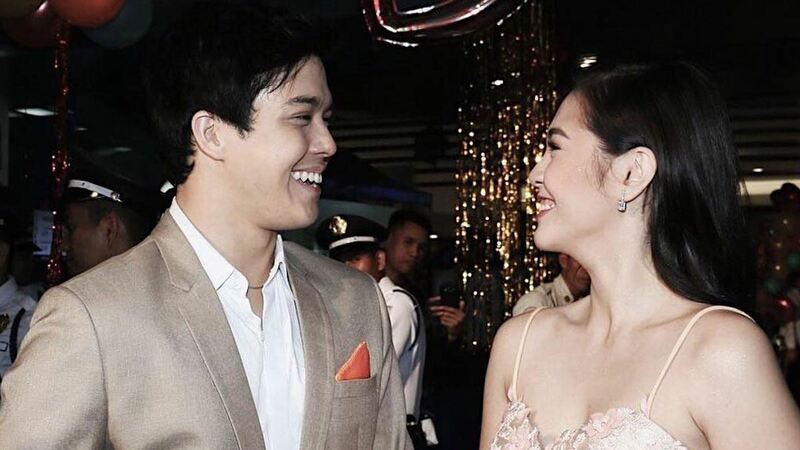 Elmo Magalona and Janella Salvador, co-stars in the film My Fairy Tale Love Story, have been love team partners for the past few years and haven't been shy about publicly showing their feelings for each other. The two were recently on Tonight With Boy Abunda and played a game where they had to pick an envelope with a secret question inside. Elmo chose a question that had to do with his late father Francis Magalona. Host Boy Abunda asked him, "You get a chance to talk to your papa. He asks you, 'Elmo, my son, who is that girl beside you?' Paano mo ipakikilala si Janella sa papa mo?" Without any hesitation, Elmo answered, "Hi, papa. This is my one and only, Janella."